In today’s highly competitive and dynamic market, the need to respond to fast-paced technological and social change has never been more important. 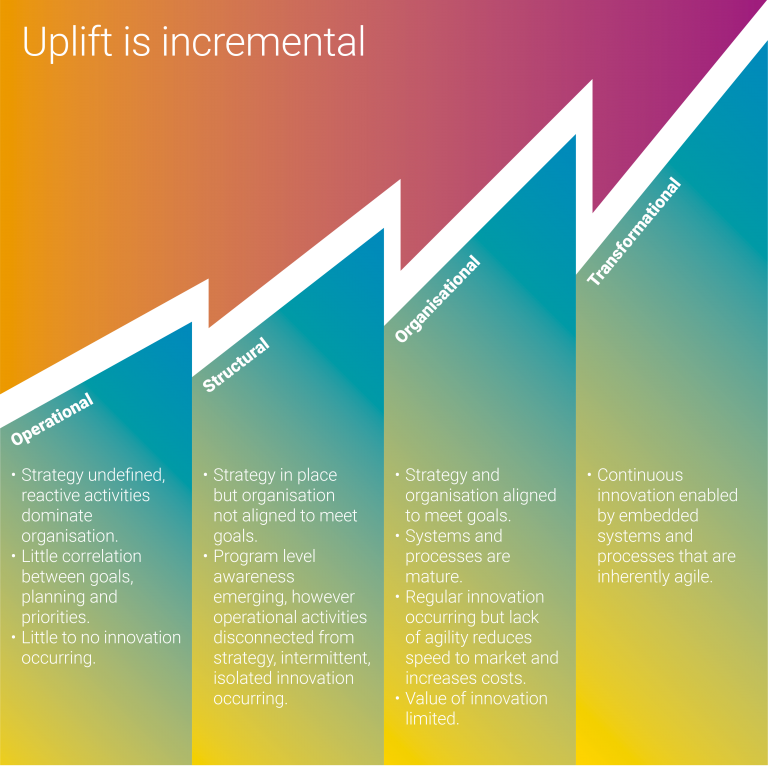 The Modern Business Transformation (MBT) Framework has been developed to position organisations to not only survive, but thrive through continuous innovation. We believe the MBT Framework will begin to address the illusive: “how-to” innovate and transform successfully, consistently and continuously. We believe the MBT Framework sets organisations up to be change ready — positioned to take advantage of new market opportunities and technology advances — by ensuring your organisation is ready to harness innovative ideas and make the most of incremental improvements. 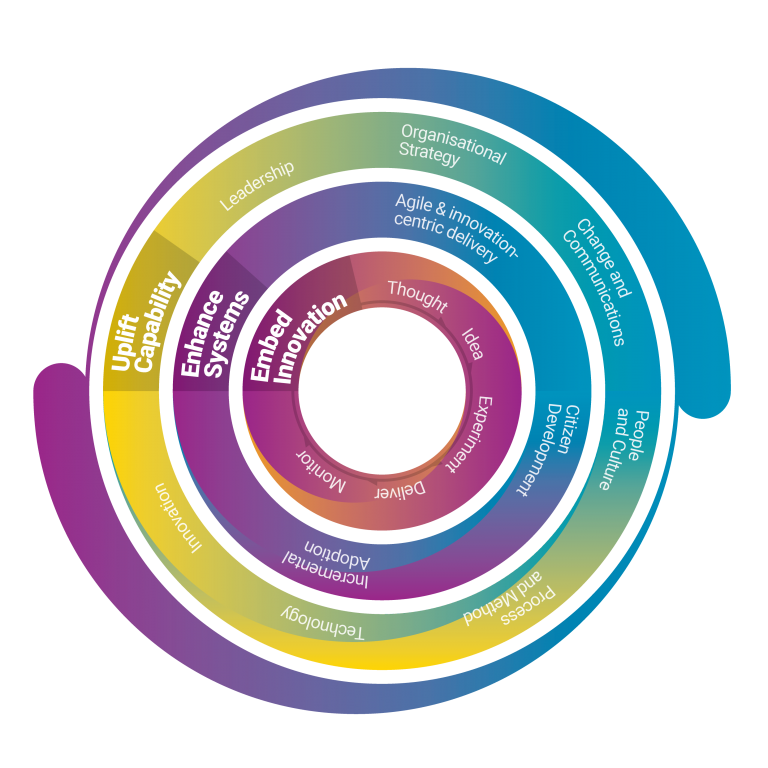 The MBT Framework is a systematic, repeatable and holistic approach to enable organisations to tackle the challenges of innovatively transforming themselves – continuously, consistently and predictably. Find out here - Are you Change Ready? Do the MBT Readiness Assessment to find out your organisation’s maturity level along the MBT evolution map. © 2019 Modern Business Transformation. All Rights Reserved.